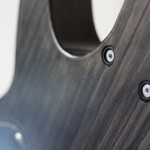 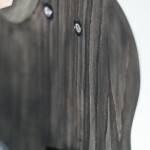 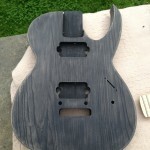 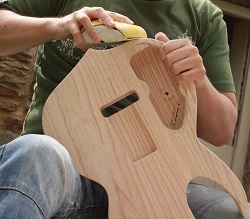 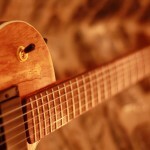 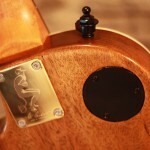 Green Man is going to be a classic single-cut carved top guitar which will feature Schaller brass control knobs. 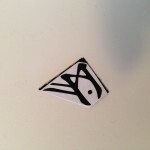 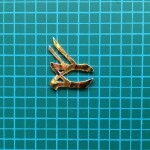 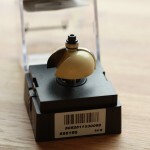 These are 18mm in diameter and around 15mm in height. 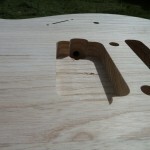 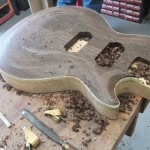 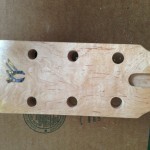 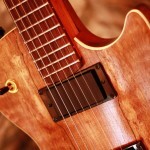 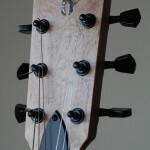 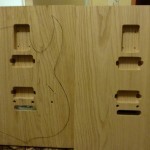 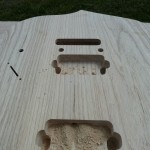 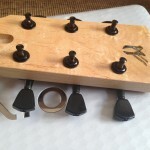 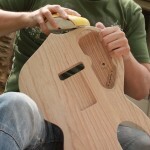 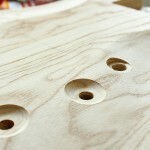 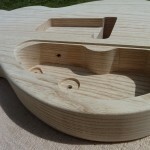 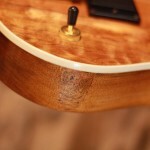 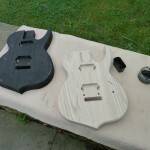 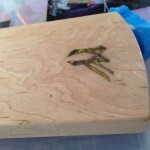 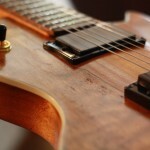 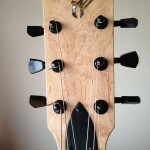 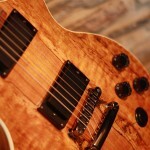 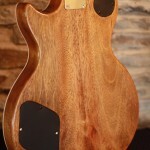 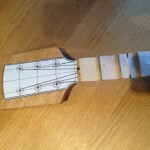 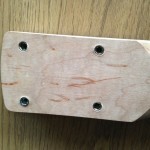 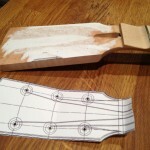 Traditionally on Les Paul style carved-tops (from which Green Man is very much rooted), the neck control pots for volume and tone are placed on a heavy curve. 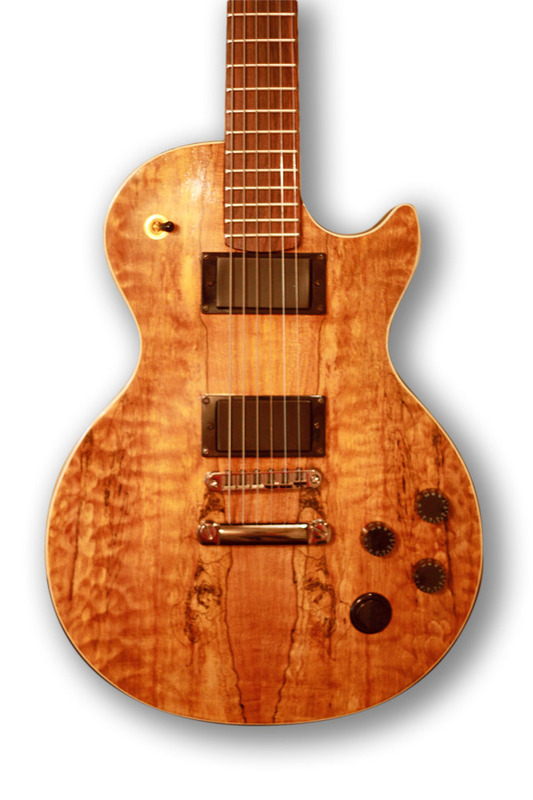 Gibson don’t care too much about this, but Paul Reed Smith took some consideration for aesthetics and rightfully addressed the issue of the gradient creating a large gap under the control knob. 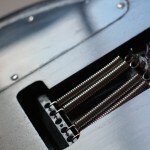 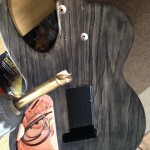 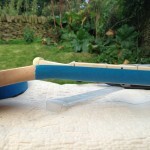 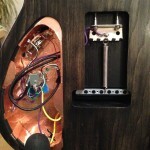 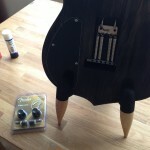 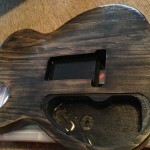 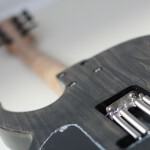 PRS’ approach was to ‘scoop’ out the potentiometer hole so that the control knob actually sits in a little basin valley. 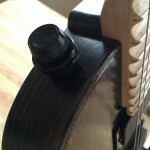 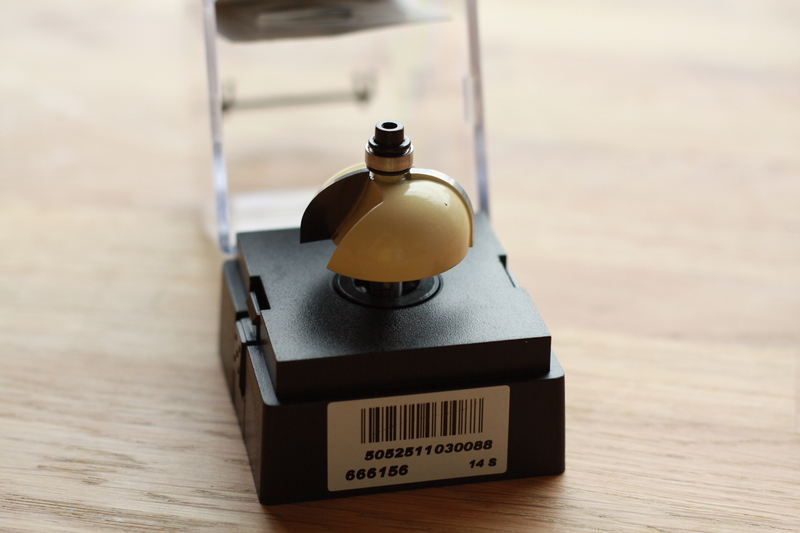 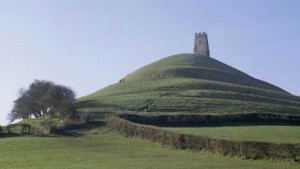 The gap underneath the control pot is not too extreme on the more traditional speed-knob or top-hat style controls, but Schaller knobs are quite narrow so they can tend to stick out like a sore-Glastonbury-Tor. 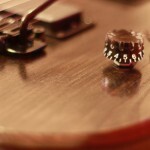 There are varying accounts of how to create this ‘dish’ on the internet, and I haven’t actually done it before, so I have researched quite a bit recently. 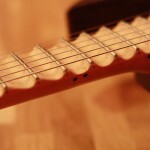 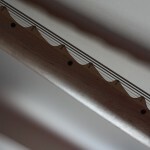 Ben Crowe at Crimson Guitars ingeniously ground a flat drill bit to a rounded end to create the curved recess when drilling. 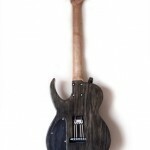 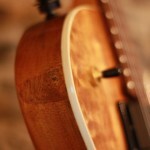 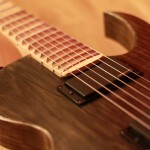 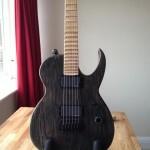 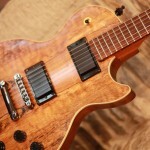 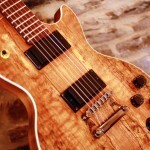 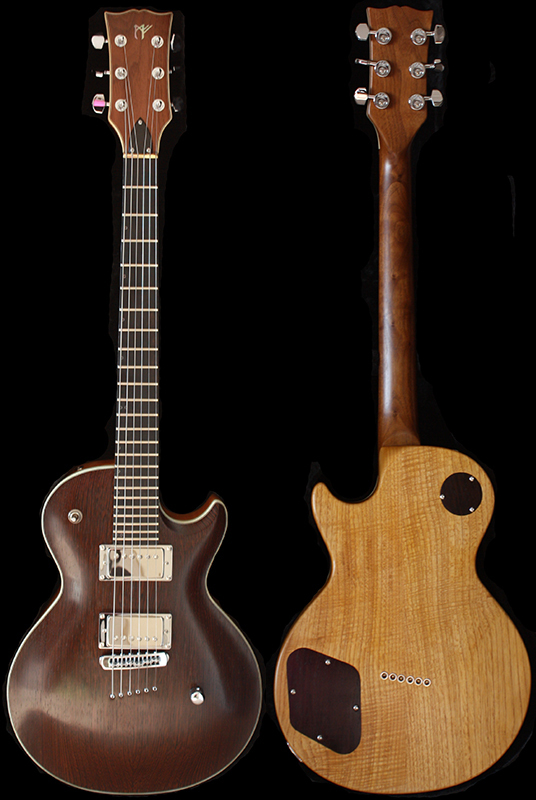 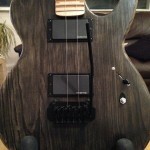 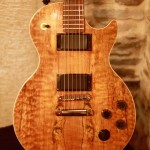 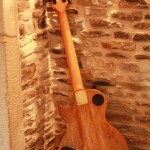 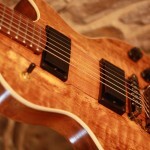 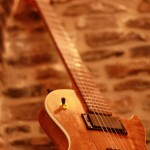 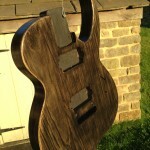 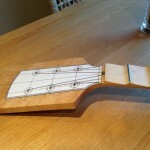 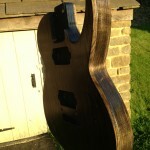 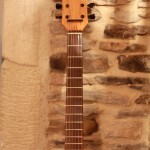 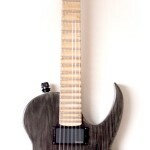 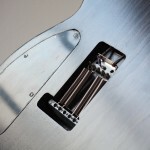 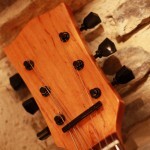 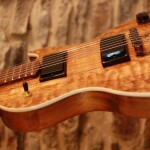 But I have read accounts and watched Perry Ormsby of Ormsby Guitars use a Cove Router bit to create this. 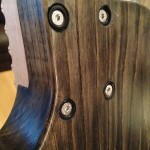 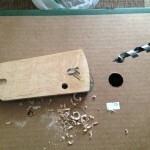 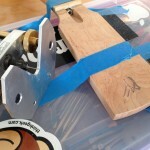 A bearing at the end of the bit is sized to match the hole drilled for the potentiometer, which allows accurate progression into the timber for the coving. 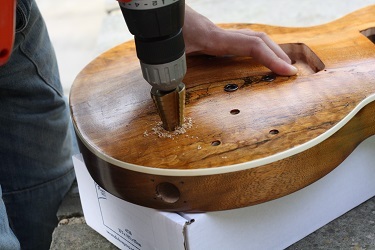 This should be done on a pedestal drill stand obviously so it will be interesting to see how this works with my Black and Decker hand drill! 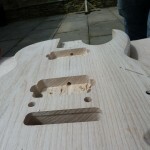 There may be a good chance of some of the grain being torn out due to the relatively slow speed of rotation in comparison to a router machine. 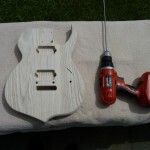 So I am preparing for some carving afterwards if it all goes pear-shaped. 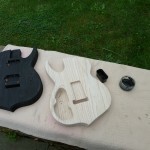 Once the controls have been coved I can start on staining the Maple-cap with several coats of black before sanding back to leave the grain darkened and a slight sun-burst effect. 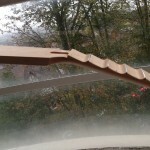 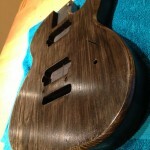 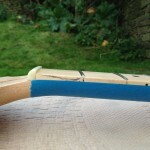 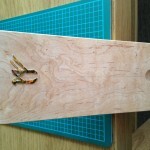 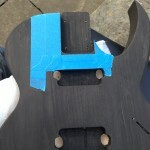 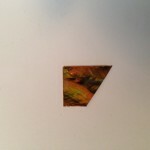 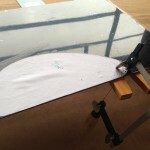 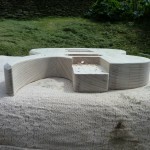 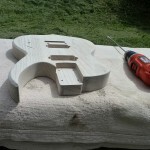 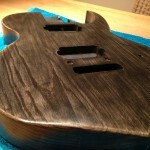 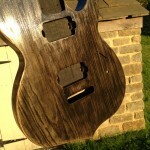 The top will then have a few coats of ‘purest-green’ to finish before being French polished.